High Voltage Electrical Transformers | Power Inductor & Transformer | Ferrite & Common Mode Choke | Coil Winding Specialist Inc.
CWS is a custom magnetics design and manufacturer of inductive and transformer products. 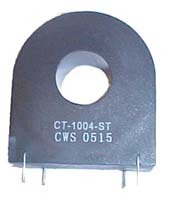 Over the years, CWS has also developed and stock the industry’s largest selections of power inductor, inductor coil, ferrite choke, common mode choke, differential mode choke, current transformer and power transformer. In CWS library, there are thousands of custom inductors, custom transformers, high frequency transformers, ferrite chokes, etc. CWS developed our own special designed software to manage the designs of custom magnetic parts. This page shows all the standard off the shelf stocking parts. By clicking on each section, the user can see the depth and breath of the standard products arranged in sub-categories and available as online shopping carts. For example, if you click on the Ferrite and Nanocrystalline Common Mode Chokes, it will drill down to 5 categories of common mode choke and ferrite choke i.e. case enclosed ferrite common mode choke and nanocrystalline common mode choke, 3 phase common mode choke, 4 phase common mode chokes, etc. For the inductor and differential mode chokes, there are 6 categories from toroid inductor and helical wound or edge wound inductors to ultra high current inductor in shoebox packaging. Each part has its own pdf engineering drawings that the end user can download and use for PCB layout. Additional engineering details and test reports are available on request. For transformer which are shown in other sections of CWS website, CWS specializes in isolation transformer, high voltage transformer, utility grade electrical transformer and power transformer. For coils, CWS specializes in electromagnetic coil, and all types of magnetic coil. The pricing shown in the shopping cart is mainly used as a budgeting tool for engineers and buyers to cost out their bills of materials. Note that these prices are for small or sample quantities and not for volume production. For volume production pricing, please email or call CWS sales office to get the most competitive pricing. Please contact us via Email for any question you may have regarding design or products. Visit our Custom Product category for a display of products requested by our customers.